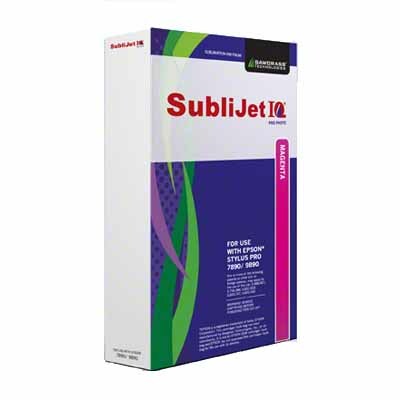 Formulated for popular Epson® inkjet printers, SubliJet IQ sublimation ink systems combine the industry’s highest quality sublimation inks with easy-to-use color management software and comprehensive support for a complete solution for printing brilliant sublimation transfers. 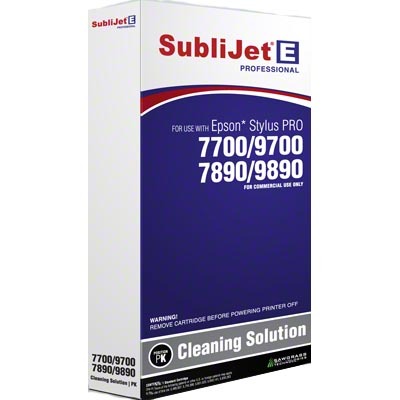 SubliJet IQ Pro Photo Ink for the Epson Stylus PRO 7890 and 9890 printers has been optimized for high definition photographic reproduction on ChromaLuxe and other photographic panels. This unique 8-color ink set delivers subtle skin tones, fine gradations and high contrast blacks. For the ultimate output quality, specialized ICC profiles have been developed in close collaboration with ChromaLuxe and leading professional photo labs. Introducing SubliJet-IQ Pro Photo XF Inks SubliJet-IQ Pro Photo XF black inks are for Epson 7890 / 9890 SubliJet Professional solutions. Recent testing by ChromaLuxe has confirmed that new SubliJet-IQ Pro Photo black inks and ChromaLuxe panels have delivered superior UV stability and performance. For sublimation printers producing high-resolution, photo images who desire a higher level of image longevity, SubliJet Pro Photo black inks, when used in conjunction with SubliJet Pro Photo inks and ChromaLuxe panels, will provide up to 50% greater image stability and longevity in UV exposure compared to standard SubliJet-IQ Pro Photo prints. For those customers who wish to take advantage of this improved performance, customers will simply replace all three black inks – K, Lk and Llk - in their current SubliJet-IQ Pro Photo ink set with the new SubliJet-IQ Pro Photo XF black inks. To ensure accurate color reproduction with the high performance SubliJet-IQ Pro Photo XF solution, users will need to replace all three SubliJet Pro Photo Black inks with the high performance SubliJet-IQ Pro Photo XF Black inks. All three inks must be replaced at the same time, and the new SubliJet-IQ Pro Photo XF color profiles must be applied. Please call Conde’s Wide Format Specialist Micky Unsworth at 800-826-6332 extension 201 for more information. 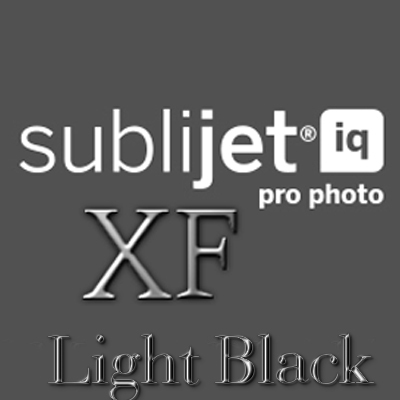 Light Light Black SubliJet-IQ Pro Photo XF Cartridge, 350ml, for the Epson 7890/9890 printers. Light Black SubliJet-IQ Pro Photo XF Cartridge, 350ml, for the Epson 7890/9890 printers. Matte Black SubliJet-IQ Pro Photo XF Cartridge, 350ml, for the Epson 7890/9890 printers.